During this period the moon will reach its full phase on Sunday August 26th. At that time the moon will lie opposite of the sun in the sky and will remain above the horizon all night long. As the week progresses the waning gibbous moon will rise during the late evening hours with the moon severely hampering efforts to see meteor activity during the more active morning hours. The estimated total hourly meteor rates for evening observers this week is near 3 as seen from mid-northern latitudes and 2 as seen from subtropical southern latitudes (25S). For morning observers the estimated total hourly rates should be near 8 for those viewing from mid-northern latitudes and also 6 for those viewing from subtropical southern latitudes (25S). The actual rates will also depend on factors such as personal light and motion perception, local weather conditions, alertness and experience in watching meteor activity. Rates are reduced during this period due to moonlight. Note that the hourly rates listed below are estimates as viewed from dark sky sites away from urban light sources. Observers viewing from urban areas will see less activity as only the brighter meteors will be visible from such locations. The radiant (the area of the sky where meteors appear to shoot from) positions and rates listed below are exact for Saturday night/Sunday morning August 25/26. These positions do not change greatly day to day so the listed coordinates may be used during this entire period. Most star atlases (available at science stores and planetariums) will provide maps with grid lines of the celestial coordinates so that you may find out exactly where these positions are located in the sky. 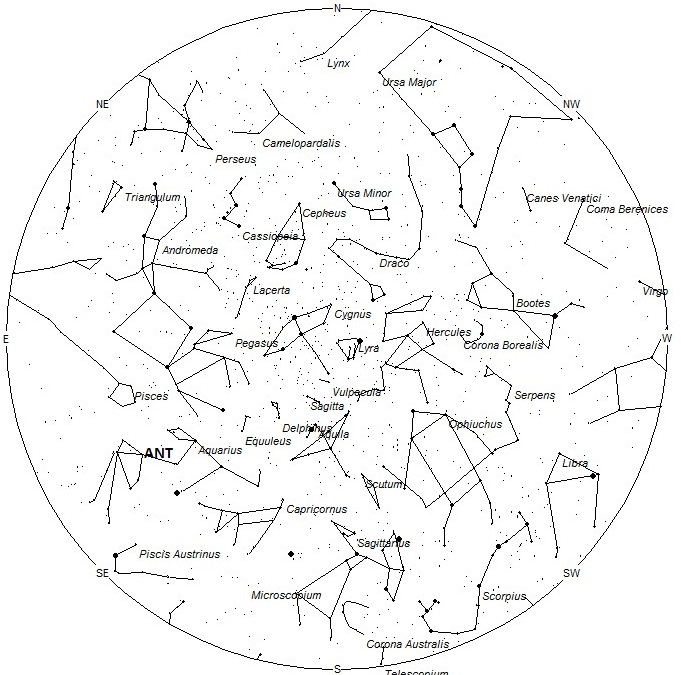 A planisphere or computer planetarium program is also useful in showing the sky at any time of night on any date of the year. 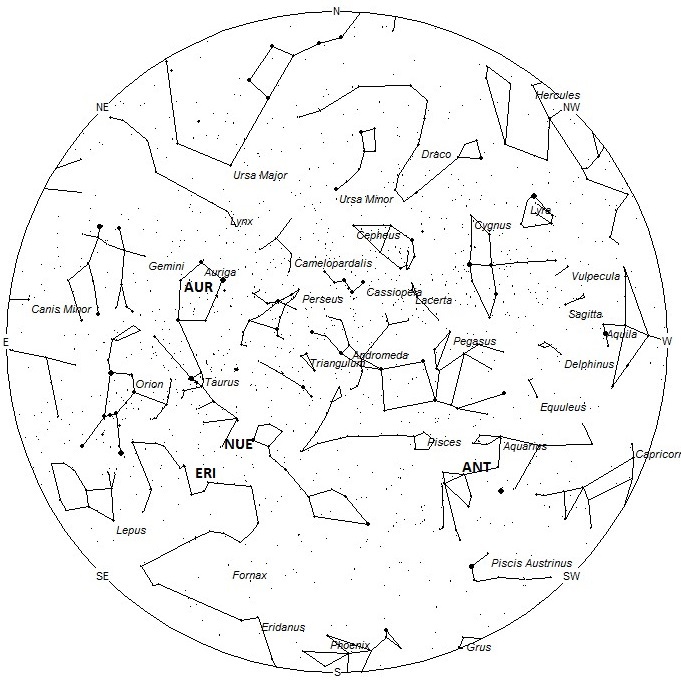 Activity from each radiant is best seen when it is positioned highest in the sky, either due north or south along the meridian, depending on your latitude. 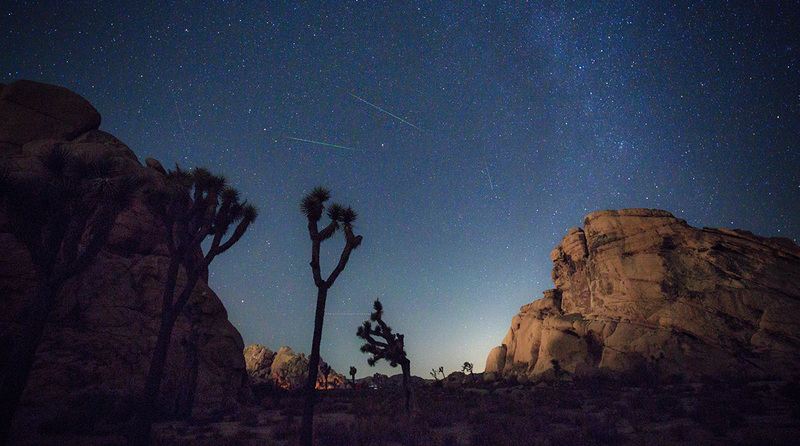 It must be remembered that meteor activity is rarely seen at the radiant position. Rather they shoot outwards from the radiant so it is best to center your field of view so that the radiant lies near the edge and not the center. Viewing there will allow you to easily trace the path of each meteor back to the radiant (if it is a shower member) or in another direction if it is a sporadic. Meteor activity is not seen from radiants that are located far below the horizon. 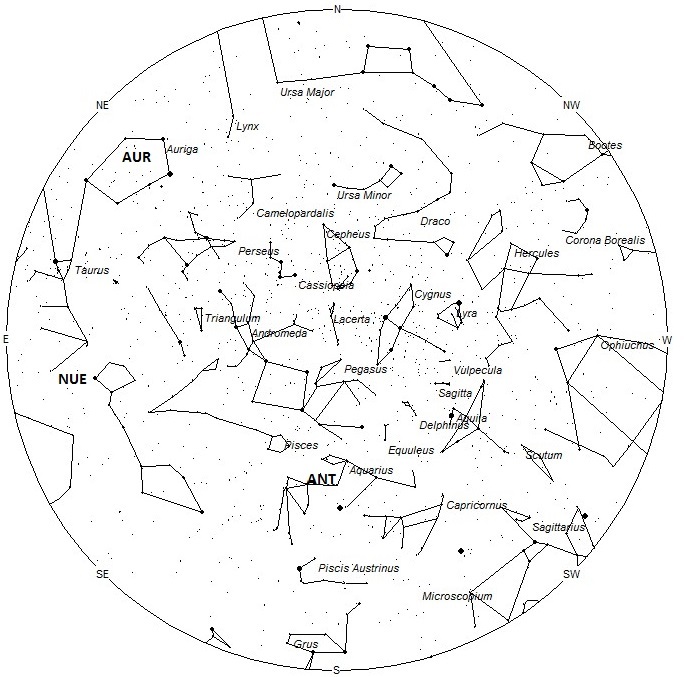 The positions below are listed in a west to east manner in order of right ascension (celestial longitude). The positions listed first are located further west therefore are accessible earlier in the night while those listed further down the list rise later in the night. Details on each source will continue next week when moonlight will not be such a factor.